We build public health system's capacity in supply chain and marketing by sharing the expertise of the Coca-Cola system in African countries. Our goal is to be partnering to improve the availability of life-saving medicines in 10 African countries by 2020. Project Last Mile programs in Africa. Take a look at our projects so far.  Click on a country to find out more about our work. The southernmost country in Africa, South Africa is home to over 54 million people. 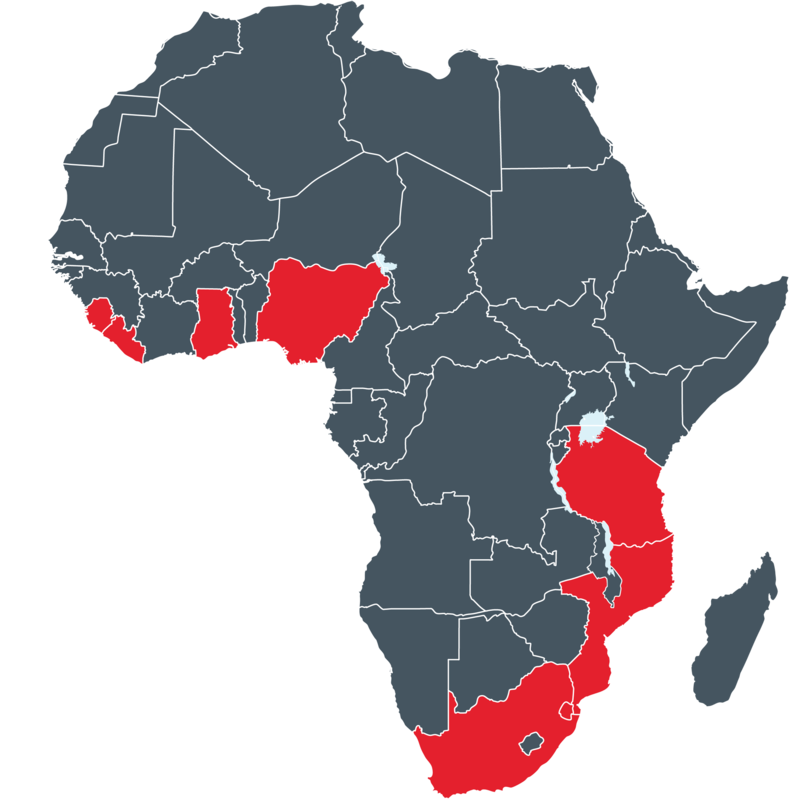 The country has one of the world’s highest HIV positive populations with an estimated 7,4 million people living with HIV.  The South African government manages the highest HIV donor-supported program in the world with 3,8 million people on antiretroviral treatments.  Swaziland is one of the smallest countries in Africa. It has a population of more than 1,3 million. The country has one of the highest HIV infection rates in the world with more than half of all deaths in the country caused by HIV/AIDS. 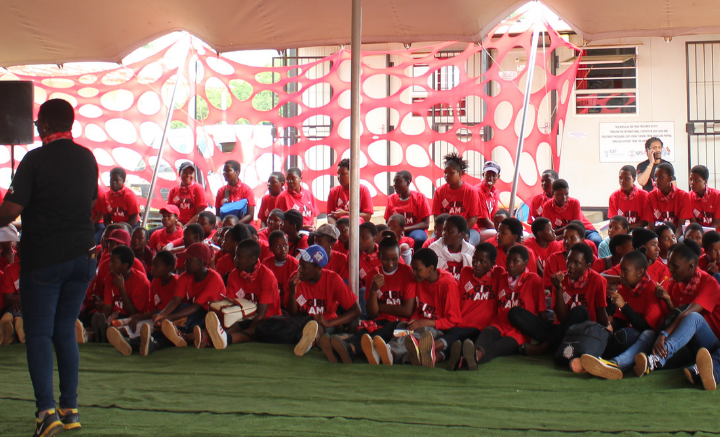 HIV is five times more prevalent in young women aged 15-24 than in young men of the same age. Sierra Leone is a small country in West Africa with a population of over 6 million people. In 2014, Sierra Leone declared a state of emergency to tackle the deadly Ebola outbreak in West Africa, which persisted into 2016, killing 3,956 people in Sierra Leone.  Liberia is a country on the West African coast. It has a population of over 4,5 million people. In 2014, West Africa experienced the largest outbreak of Ebola in history. Liberia had the highest death toll of the region, with 4,810 people deaths from the disease. Ghana is a country in West Africa. The population of over 27 million spans a variety of ethnic, linguistic and religious groups. Ghana has one of the best performing immunization programs in the developing world. Their biggest challenge is ensuring the cold chain is working efficiently. Outside the capital, Dar es Salaam, medical services can be patchy. Remote health centers frequently suffer from a lack of medicines. We are working with the Medical Stores Department of Tanzania to optimize distribution routes to support reliable, on-time delivery of medicines to the last mile.  Nigeria is often referred to as the “Giant of Africa” due to its large population and economy. The country is the most populous nation on the continent with over 185 million people. Nigeria has some of the highest under-five mortality rates and some of the lowest vaccination rates in the world. About 25% of these deaths could be prevented through routine immunization. We are partnering to help redesign last mile distribution of life-saving medicines following the Ebola epidemic. We created a blueprint for improved uptime of cold chain equipment used for vaccines. We are partnering to increase demand and utilization of HIV services through sharing strategic marketing skills. We are partnering to redesign and rebrand the medical supply chain and helping Liberia recover from the Ebola epidemic. We are partnering to improve delivery of life-saving medicines by optimizing route-to-market and logistics practices. We are partnering to improve cold chain equipment maintenance practices to make life-saving vaccines more widely and regularly available. 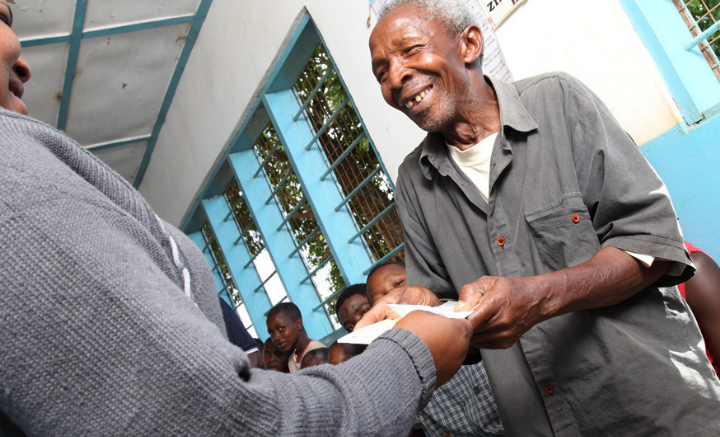 We are partnering to improve medicine distribution to health facilities. We are partnering to improve availability of chronic medicines by creating more Pick-up Points. 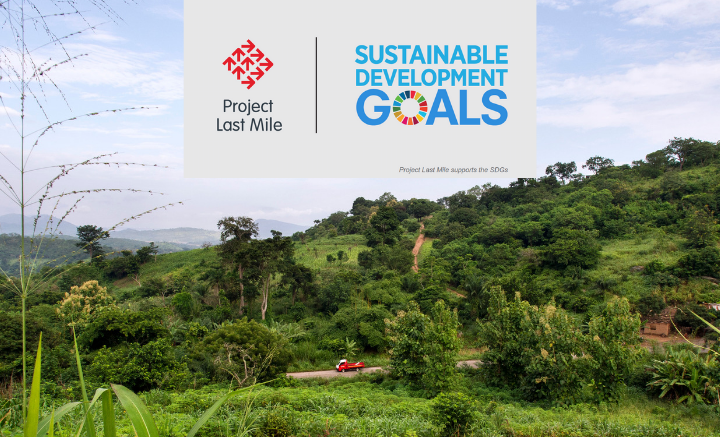 Read stories from Project Last Mile team members, donors, and people who have benefitted from our work in each country and the broader movement towards cross-sector partnerships. 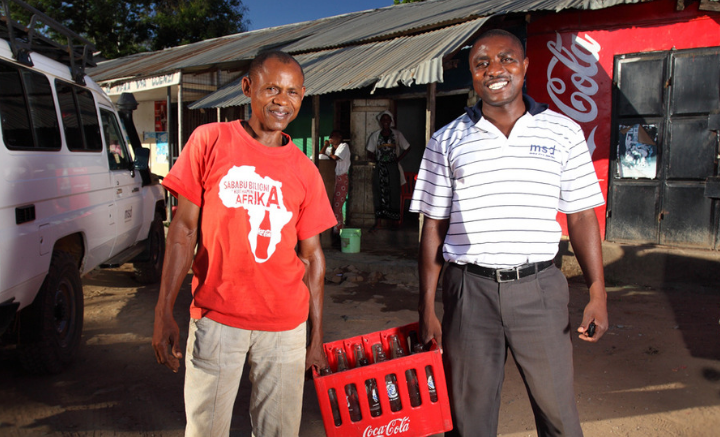 What is the role of the Coca-Cola Company within Project Last Mile?